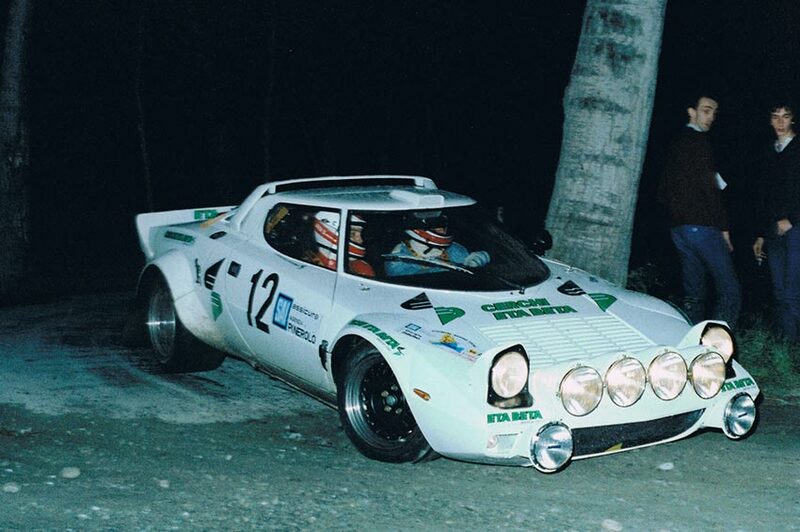 Incredible story the one of the Erik Comas’ matching numbers Lancia Stratos, that just offered to the Rally Queen and together with the Team Chiavenuto, its seventh international rally championship title after the 74, 75, 76 WRC wins and the 76, 77, 78 European Rally titles. If the first three championships were managed by Lancia factory team, most of the Lancia Stratos wins later were done by cars prepared by Maglioli. 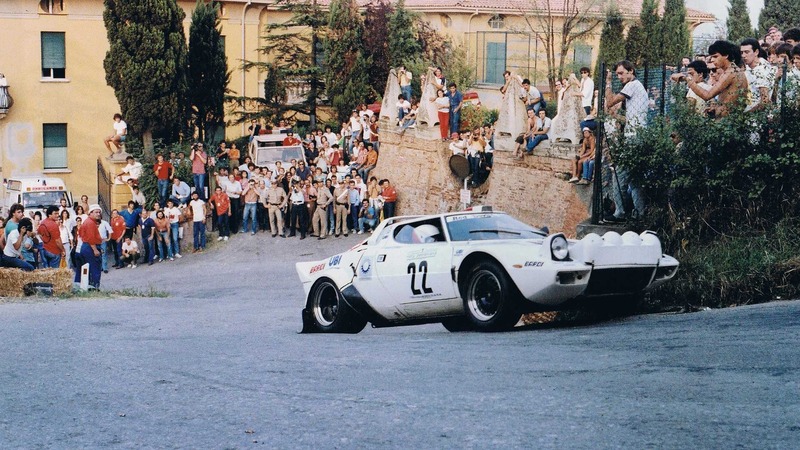 This is to remember that Maglioli was the test driver for Lancia, he is the first ever to have driven the Stratos. Before the official interruption of the Stratos works program he already started to prepare his own cars for the happiness of private customers but also semi-official team such as Chardonnet, the French Lancia importation at the time. 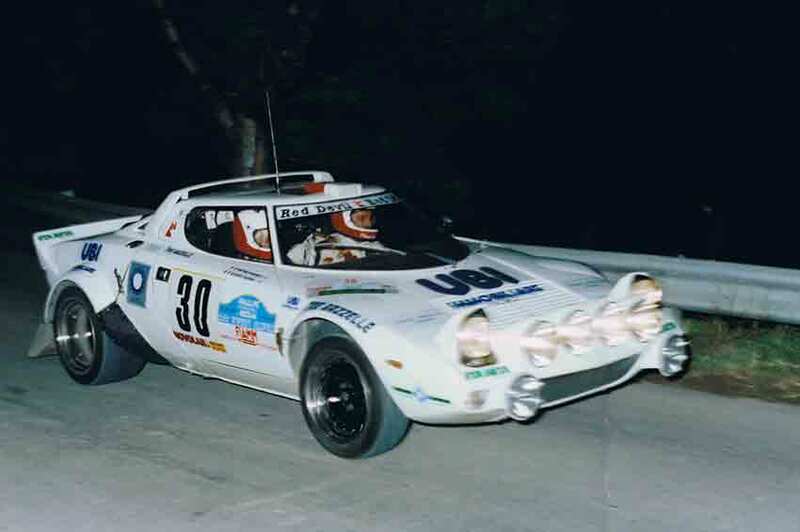 The Stratos made by Maglioli got more than 100 victories, two European titles with Darniche, two Italian titles with Tony Fassina and Adartico Vudafieri, two Spanish titles with de Jorge de Bragation and finally two Greek titles with Siroco, sorry for the little! 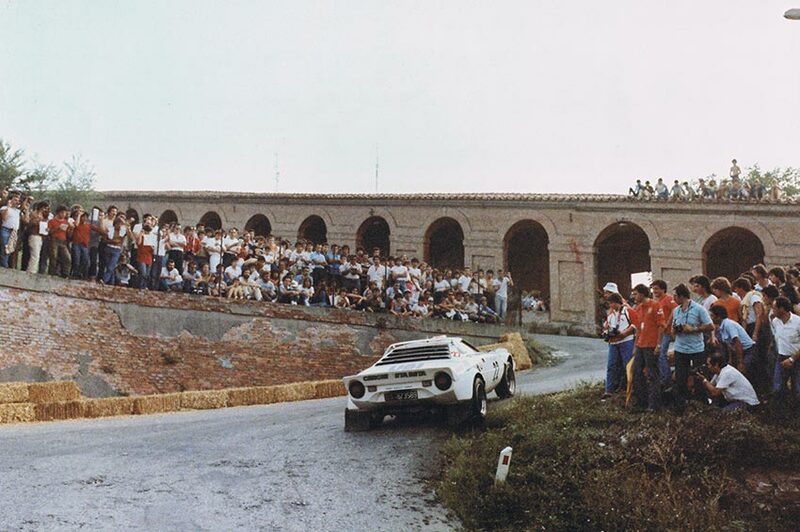 The Maglioli’s Stratos that have dominated the competitors, sometimes ahead of Lancia’s works cars, scoring an amazing numbers of victories, and forty years later this is again an ex Maglioli car that offered to the Stratos its seventh international rally title! Ulisse Carini kept his car until 1986 before it moved to several Italians owners, then went to France when Jean Paul Sylvain bought it in 1989. Sylvain exchange it the year after to a Ferrari Daytona, property of his friend Bernard Rodrigues. Rodrigues Kept the car almost twenty years before that it ends in the ex-Formula One driver’s hands; Erik Comas. The Frenchman decided then to give back to Cesare what belong to Cesare, therefore to bring back to racing the car imagined for racing by Cesare Fiorio. An encounter has been determinant, the one of Comas with Aldo Magada the CEO of Zenith Watches from LVMH group. The Swiss watch maker had just decided to oriented its communication also to Classic cars and Comas knew that Zenith own the world intellectual property rights of the STRATOS name in the class 14. Magada offered to Comas a position of consultant thanks to his classic cars expertise but Comas also wanted the Swiss brand to support his racing program. A three years agreement was signed between the parties in January 2015. The targets for Comas were to win the Italian Historic Rallies title immediately in 2015, to organise a Classic car event within the three years and to win the “ultimate FIA recognition in classic cars”, the European Historic Rally Championship title. 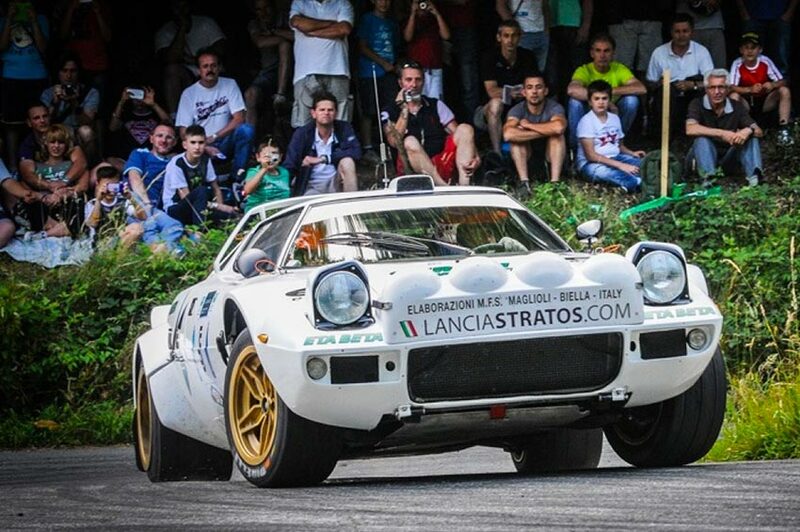 Erik Comas and AR00001826 won the 2015 Italian Title and the RallyLegend while Comas was also preparing a major event, the World Stratos Meeting in 2016. The Zenith El Primero World Stratos Meeting will remain as an amazing 40 years celebration event. Erik Comas also won the 100th Targa Florio edition and Asturias Rally in 2016. The last target was the most difficult as since 2015 the FIA has opened the competition to cars until 1989, including Lancia 037 group B, Lancia Delta group A, Porsche 911 SCRS group B, Ford Sierra 4x4 group A, Subaru Legacy 4x4 group A, BMW M3 group A and Renault 5 Turbo. But another encounter has been determinant in the final success, with Andrea the owner of Chiavenuto Prototipi. Andrea is the master in winter ice racing preparation in Biella. He took the management of the Stratos AR00001826 without having ever seen one before, but in six month he his has shown to be also the master in the Stratos preparation, giving back reliability and performance to the Italian beauty such as in period. “I have too long insisted in giving my car to mechanics too proud of what they did in the past, but as often this is not the CV that counts most, but the talent, Andrea has the intuition and the technical intelligence, sorting problems before that they even appear in rally. You can win rally thanks to the best car preparation not to the best service assistance when the timing is very tight” said Comas. Forty years after Claudio Maglioli that would have been very proud to see one of his Stratos on the top of Europe against cars much more moderns. Rare and exceptional, this is to mention that AR0001826 only raced in hands of its owners and therefore, unlike rally teams having several cars and engines, has still its original carburettors engine and this is a matching numbers Stratos that dominated the 2017 championship against rebuilt Porsche and Delta. Only the dampers and the rear bonnet (Mk1) are different from period due to FIA period regulation (71-76). 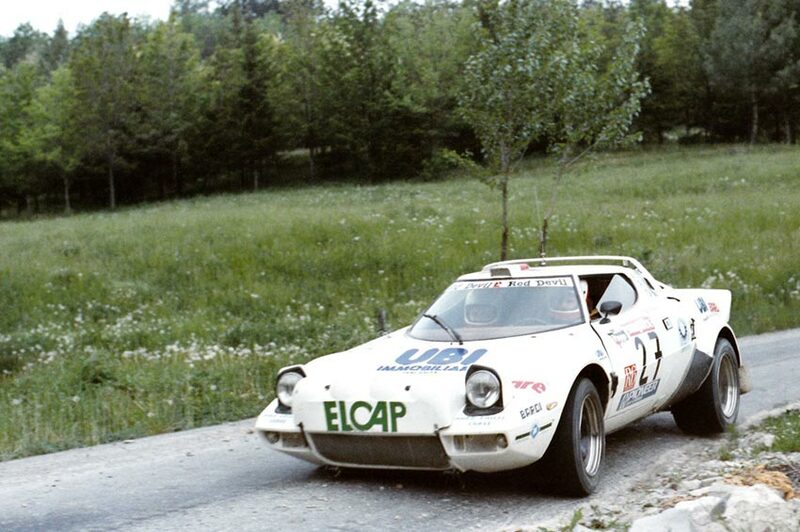 As in 1977 with Bernard Darniche/Alain Mahé this is again a French crew Erik Comas/Yannick Roche who won the Rally Elba and the European Rally Championship with a Stratos prepared in Biella, this time by Andrea Chiavenuto. The rally Queen is still the Queen.